What’s the thickness of the z build plate? Is that aluminum or steel? 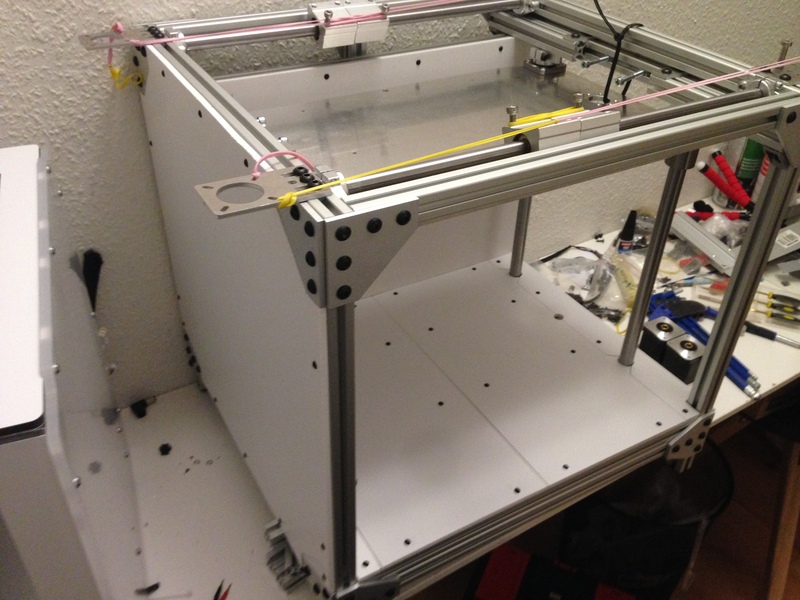 I’m in the process of building a coreXY printer with a 300x300mm build plate and can’t really decide how thick it should be. Any suggestion is much appreciated. Also, I notice that you have dual motors lifting the bed. Do you encounter any issues with this config? Do they get out of sync? I plan on going the same route, but with TR8*4 leadscrews and some folks suggested that using dual motors have this problem. My first and only printer is a beltdriven Delta, so I’m lost when talking about leadscrews and such. Using multiple Motors is the best way to go. Only not do this if you want to save some money or you use a cheap design like wobbly Prusa. Marlin and RepRapFirmware can use seperate drivers for seperate motors for Z axis and use them to autolevel bed if you want. I have mounted an endstop/limitswitch at each motor z-max, so they home together to Z-max, and then sync up in case something cause them to get out of sync – ie if I turned on manually or the like. They then go back to Z-min where I can start printing. 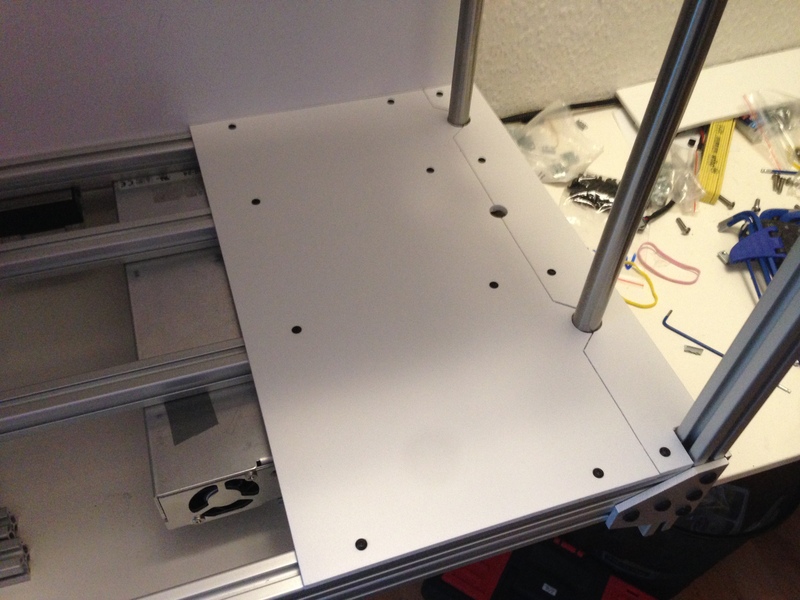 I’ll be using a BLTouch to make sure I have right distance between nozzle and bed as I change plates a lot. I’ll not be using it to “autolevel/compensate”, as my plate is flat, so I’m spending some time getting it level manually the first time around. Hi Morten, I didn’t see your reply. Thanks for the input. Did you connect each Z motor using seperate drivers? or they are connected in series like dc42 suggests? I would love to see how you wired them and the config.g / bed.g file of your dual z setup. Hmm, where did you see that suggestion of setting them up in series? I’m using a seperate driver for each of my Z-motors. I don’t have anything in bed.g file. I’m looking into how to share my config.. or maybe write a post about it. You in our Duet Facebook group? Nope, not in that group. You just lost me completely… 😛 I don’t know where you find that quote? Nor why you quote it here? heh 🙂 Or why you mention M584 here?